Non-invasive glucose tracking is the holy grail for diabetics. Everyone who is anyone in the world of wearables is working on ways to crack it, but it's incredibly difficult to do. Cardiogram, a heart rate tech company, believes it may have found the answer in the heart rate sensor that you're possibly wearing right now. 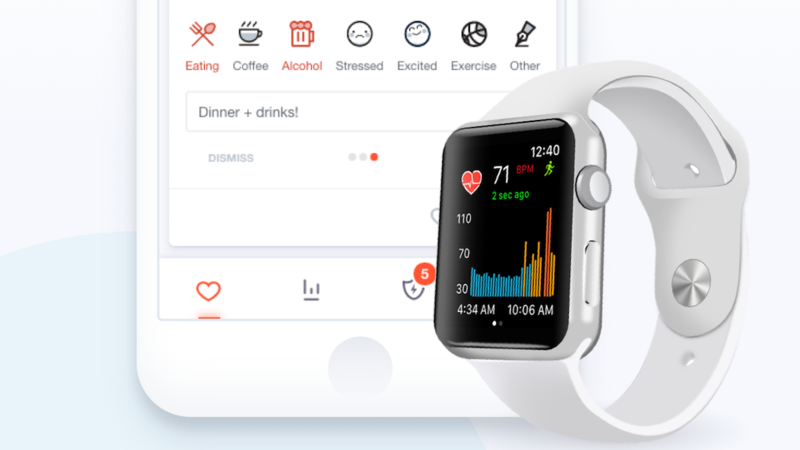 As part of a new study with researchers at UC San Francisco, Cardiogram found that its DeepHeart neural network can identify signs of diabetes with a simple heart rate sensor from devices ranging from Garmin watches to the first Apple Watch. How does it work? Essentially, it's going off an idea that was established in a 2005 study that showed a correlation between heart rate variability and diabetes. It works like this: As your body developers insulin resistance, your sympathetic nervous system gets hyperactive and your parasympathetic nervous system withdraws. This causes an imbalance in your overall nervous system. There are other signs as well, including higher resting heart rates and slower heart rate recovery. Cardiogram can't tell you that you have diabetes or pre-diabetes, as it would need FDA approval to be able to do that, but it can tell you that something is up and that you need to go to a doctor. "Most people don't go to the doctors office as much as they should," Cardiogram co-founder Brandon Ballinger told Wareable. "So the future this promises is that if you're wearing an Apple Watch, Android Wear, Garmin, something with a heart rate sensor, and your heart rate variability starts to decline because you're getting diabetes, you may get a notification or an offer to get a blood test." According to the CDC, there are 100 million adults in the US living with either diabetes or pre-diabetes, with one in four adults with diabetes being undiagnosed. In fact, 88.4% of people with pre-diabetes don't realize they have it. Allowing for fairly standard heart rate sensors in a good majority of smartwatches to let people know they're high risk for diabetes or pre-diabetes can go a long way to closing that knowledge gap. However, Cardiogram doesn't think DeepHeart will be used to actually diagnose diabetes. Instead, it believes that heart rate sensors are best used to alert users of high risk. Just because heart rate variability is physiologically related to diabetes, it doesn't mean a diagnosis is appropriate. Cardiogram and UCSF had a cohort of 14,011 people with and without diabetes, then it took 70% of those users and used them to train DeepHeart. It then took a separate set of participants and tested DeepHeart on them, essentially using the same methodology it used for its atrial fibrillation study. In the end, Cardiogram saw an rate accuracy of 85%. Flagging indicators of diabetes was only possible because of the amount of users Cardiogram has retained, Ballinger says. As the company gets more users to sign up for the app, the more ambitious it can get. "You could imagine over time, if we want to be really ambitious about what DeepHeart can become, we could actually learn to predict events, like heart attacks or strokes." In the meantime, Cardiogram is looking to roll out the new ability to flag indicators of diabetes and pre-diabetes by the end of 2018.